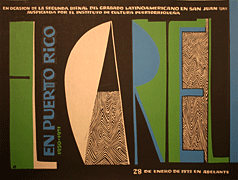 Born in the "Barrio" Puerta de Tierra of San Juan, Puerto Rico, is considered by many to be Puerto Rico's greatest graphic artist. 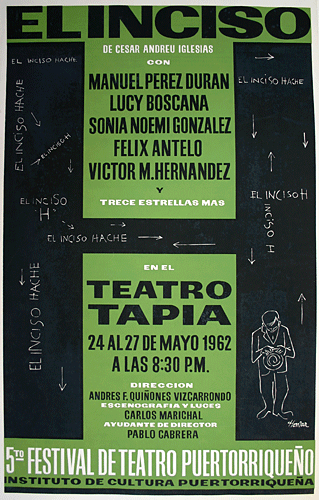 Homar inherited his love for the arts from both of his parents. His father was an arts promoter and his mother a pianist. He went to grammar school in San Juan. At a young age he moved with his family to New York. Because of the financial situation of his family, Homar quit high school and went to work for a textile factory. In 1931, he attended the Students Art League where he learned the art of drawing under the guidance of George Brant Bridgeman. Homar joined the jeweler House of Cartier in 1936 in New York as an apprentice designer. This was of great significance for his artistic development because during this time he studied engraving, drawing and history of design in a traditional workshop system. Furthermore, income from his position at Cartier allowed Homar to take night classes in painting, design and typography at Pratt Institute. 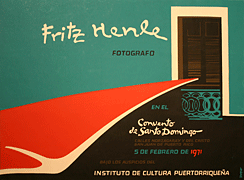 Of the 316 posters in the collection, 65 are by Lorenzo Homar.